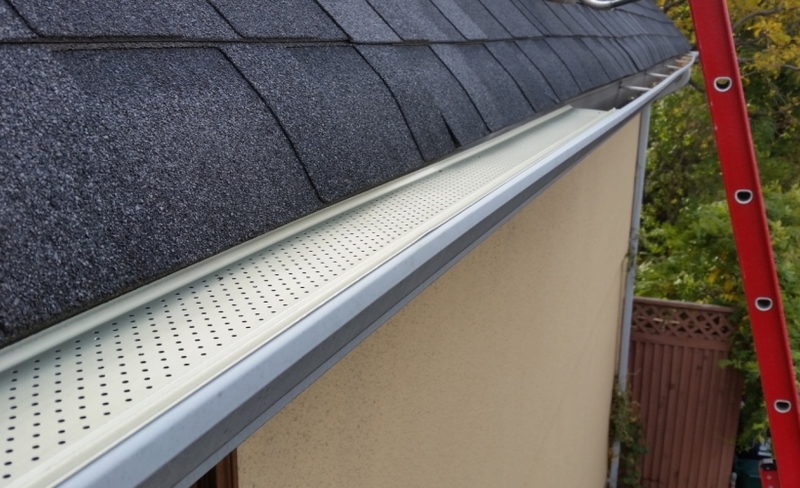 We install eavestroughs, downspouts and leaf guard. Aluminum: The usual aluminum thickness is.024 gauge . This is perfect for most homes and comes in a wide variety of colours. We also install .027, and .032 aluminum generally for commercial applications. Downpipes come in several sizes. Usually we install 2"x3". We can also get in 3"x4" downspouts, for larger roof areas. Rain Water Management plan: Our estimators will look over your eavestrough system and suggest if there are better locations for downspouts and can discuss if a rain barrel would be advantageous to your rain water management. We service Charlottetown and central Prince Edward Island. 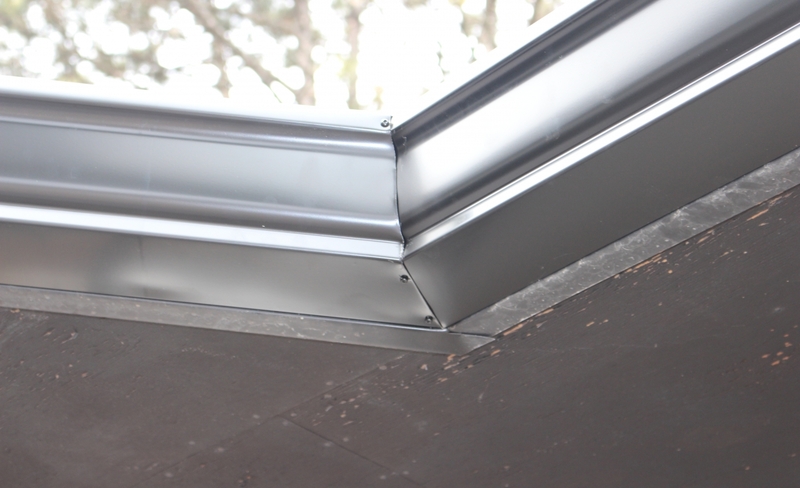 Our specialty is seamless eavestroughing. Have our professional team visit your home with our specialized equipment to fabricate eavestrough that is the entire length of your home. This eliminating many seams and potential for leaks. You have many choices – Why Choose us? We are not roofers that do eavestroughs. We are the eavestrough specialists. In business under the same name for 17 years. We will be here to back up our 20 year warranty. Knowledgeable, friendly, positive and customer oriented permanent staff that are paid hourly, not by the foot so no rushing. Use a 4’ level to measure the slope of the eavestroughs we install - just one example of the high quality installation for you. Always take the time to tie off when working on your roof - WSIB clearance - Equipment is regularly safety checked. Don’t you love a renovator that cleans up well at the end of the job? If so, you are going to love us.